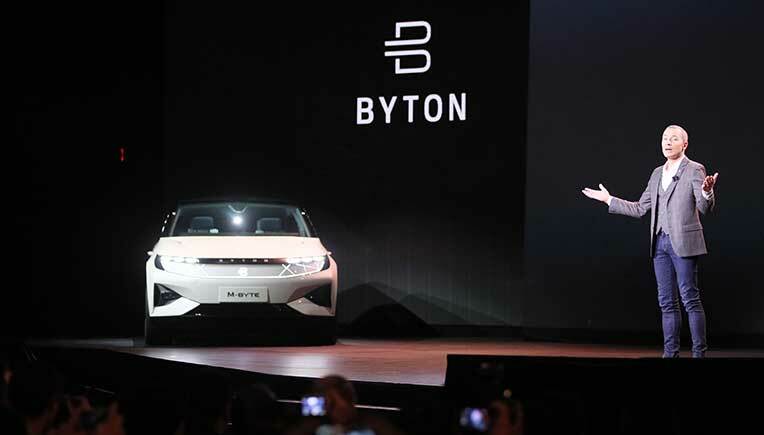 Byton, the premium intelligent electric vehicle brand, revealed new details about its first production model, the M-Byte SUV, at the CES 2019. Positioned as the next generation smart device, Byton is designed for the future of autonomous driving when the automobile will become a mobile digital lounge. Byton aims to create a premium brand rooted in China which has a global reach. Its global headquarters, intelligent manufacturing base and R&D center are located in Nanjing, China, while its North American headquarters, devoted to intelligent car experience, autonomous driving, whole vehicle integration and other cutting-edge technologies, is based in the Silicon Valley. The company’s vehicle concept and design centre is located in Munich, Germany. “Byton’s M-Byte represents the transformation of the traditional car into a next-generation smart device for every user,” said Dr. Carsten Breitfeld, CEO and Co-founder of Byton. “We achieve this through the combination our state-of-the-art EV platform and our proprietary Byton Life digital ecosystem,” he said. A digital cockpit that improves the in-car experience, Byton’s Shared Experience Display (SED) remains the world’s largest in-car display for a production automobile. It displays vehicle and driving information and offers various content options in an intuitive way. The position of the display has been carefully developed and tested to not affect driver line-of sight and can automatically adjust brightness according to changes in ambient lighting to avoid further distraction. In addition, the SED will meet automotive safety standards as well as crash standards in all target markets. · The Shared Experience Display is a 48-inch-wide curved display with three areas for content. In full screen mode of SED, the user can interact with the SED via both, a 7-inch Driver Tablet and an 8-inch Touch Pad. The SED is not a touch device itself. 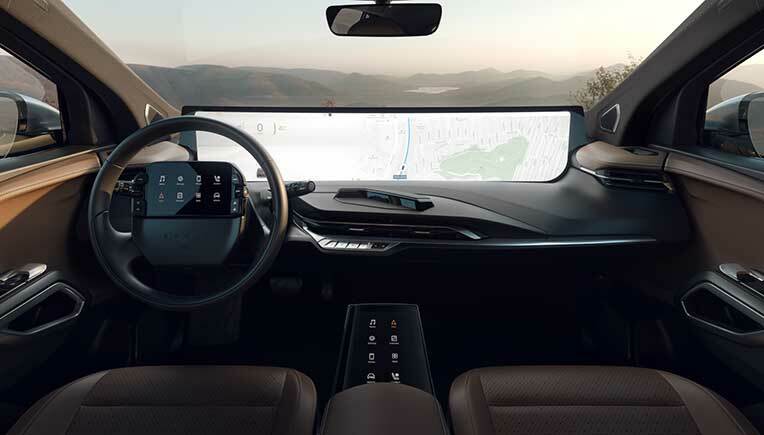 · The 7-inch Driver Tablet pioneered by Byton will be at the centre of the steering wheel just above the full-size driver airbag, serving as one of the main interfaces for the driver to configure the vehicle and interact with the SED. · An 8-inch Byton Touch Pad has been added between the driver and the front passenger seats on the production model, enabling the front passenger to control the SED and enjoy the same interactive experience as the driver. · Rear passengers have access to independent rear-seat entertainment screens that also share content with the SED. · The front seats can be rotated inward 12 degrees, to create a space that is more convenient for passengers in the car to interact and communicate with each other when not in motion. · The dashboard features a new wraparound design with air conditioning vents, gear selector, and other hard buttons located in the center along with a driver monitoring system to ensure safety during assisted-driving modes. · Multiple interaction modes with the vehicle will be offered including touch control, voice control, physical buttons, and gesture control.